Students enrolled in Nebraska’s lowest-performing public schools would qualify for a scholarship to attend a private school under a bill heard by the Education Committee Feb. 13. 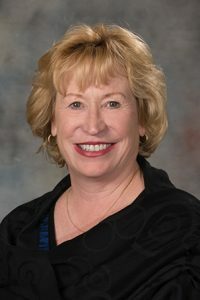 Under LB608, sponsored by Elkhorn Sen. Lou Ann Linehan, a student who resides in the attendance area of a public school with the lowest performance level established by the state Department of Education would qualify for a scholarship to enroll in a private school beginning with the 2018-19 school year. Linehan said thousands of Nebraska families use the state’s option enrollment program, in which students may attend a public school in a district in which they do not live. But for students in the 87 schools identified by state Department of Education as low-performing, she said, options often are limited because higher performing schools are either full or too far away. Elkhorn Public Schools, for example, received 87 option enrollment applications from students outside the district for the 2016-17 school year, Linehan said. Only 13 seats were open. LB608 would allow families to send their children to a higher quality private school if one is nearby or has open seats, she said. “Clearly there are more students and parents wanting better options than are currently afforded to them by open or option enrollment,” Linehan said. School districts would be required to transfer the remaining 25 percent of the expected revenue per student for each participating student to a property tax relief fund. The fund would be used to reduce the district’s property tax request after the district’s budget has been adopted. The state Department of Education estimates that if 10 percent of students in schools in the lowest performing category opt for the proposed scholarships, public school districts would pay private schools approximately $23.5 million in fiscal year 2018-19. Cameron Gales of Omaha testified in support of the bill. Gales said he and his wife chose to transfer their children from a school in the Omaha Public Schools district to St. Bernard Catholic School because they felt it would provide a better education. He said they could not wait for OPS to improve its underperforming schools, which often serve some of the city’s poorest communities. Michael McHale, speaking on behalf of the Nebraska Catholic Conference, also testified in support of the bill. He said it would remove barriers that currently prevent parents from exercising their right of directing the education of their children. “That right is largely without substance in Nebraska given that the public funding is essentially exclusive for public schools,” he said. 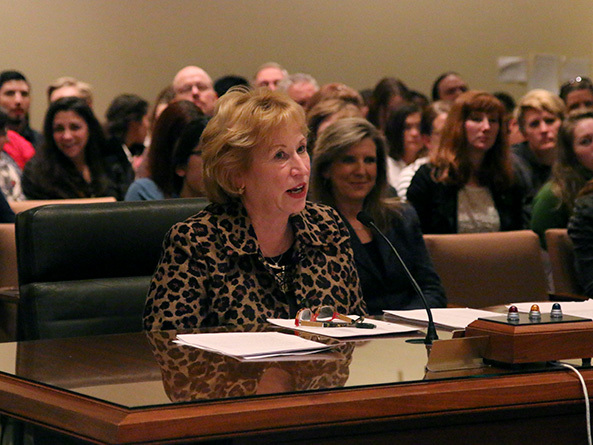 Kathy Danek, a Lincoln Public Schools board of education member, spoke in opposition to the bill. She said LB608 provides public funding to schools that offer religious instruction in a way that appears to conflict with the state constitution. It also mandates the transfer of public funds to private and parochial schools without requiring comparable systems of public governance or financial and academic accountability, Danek said. “LB608 provides public funds to private entities for the purpose of educating students without proper oversight,” she said. Michele Tilley of Lincoln also testified in opposition to the bill. If some public schools are failing, she said, then the state should use its resources to improve those schools, not direct money toward private schools. Tilley said her tax dollars are an investment in public education, which she called the backbone of a healthy community. Amy Shane, superintendent of O’Neill Public Schools, also testified in opposition. She said there is no way to know that a private school is performing at a higher level than a public school because private schools are not required to take the same assessments or to complete other accountability measures. Shane said LB608 also could force some school districts to raise property taxes to offset the cost of public school students leaving for private schools. If 30 O’Neill Public Schools students chose to attend the local Catholic school using the proposed scholarship program, she said, the district would face a $100,000 shortfall. “I think this is a bill that can divide our small community because of the requirements to fund the private school with public dollars,” Shane said.